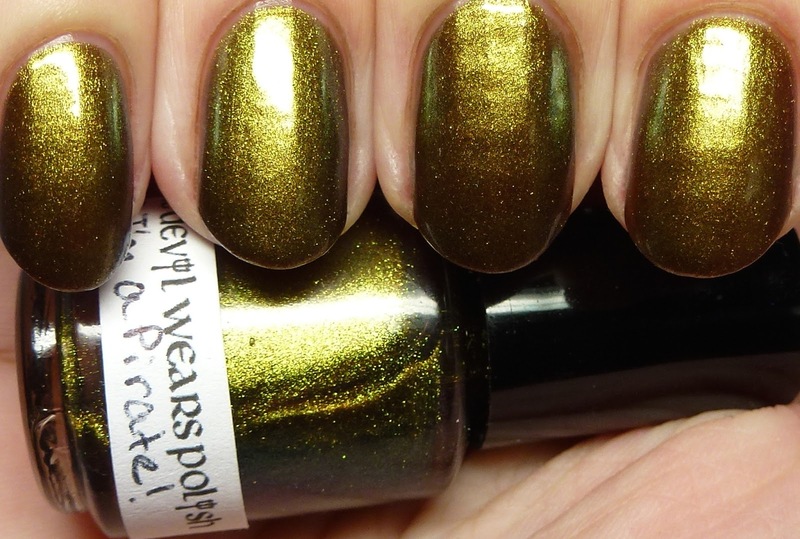 This polish wins so many points from me before I even opened the bottle. It's name is Arrr! 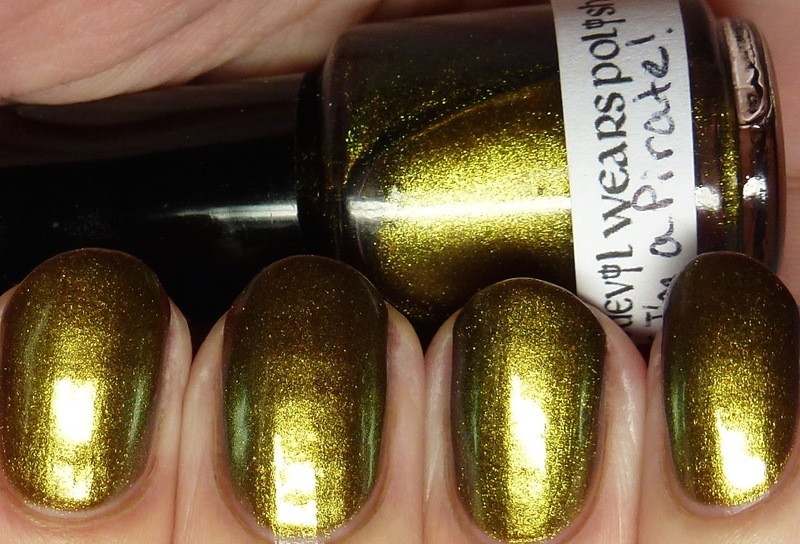 I'm I Pirate, for goodness' sake! LOL. 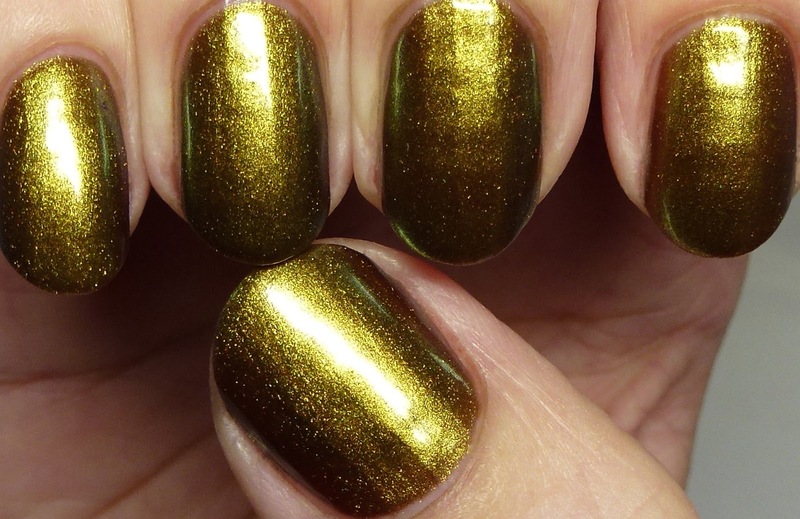 This is a complex duochrome that has brown undertones and highlights that shift from green gold to blue. 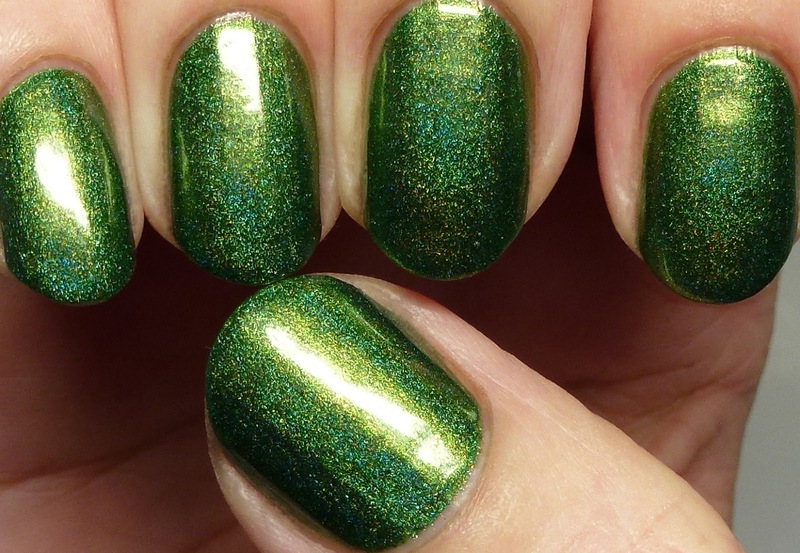 It would work as a topper or alone and I wore it with three thin coats. 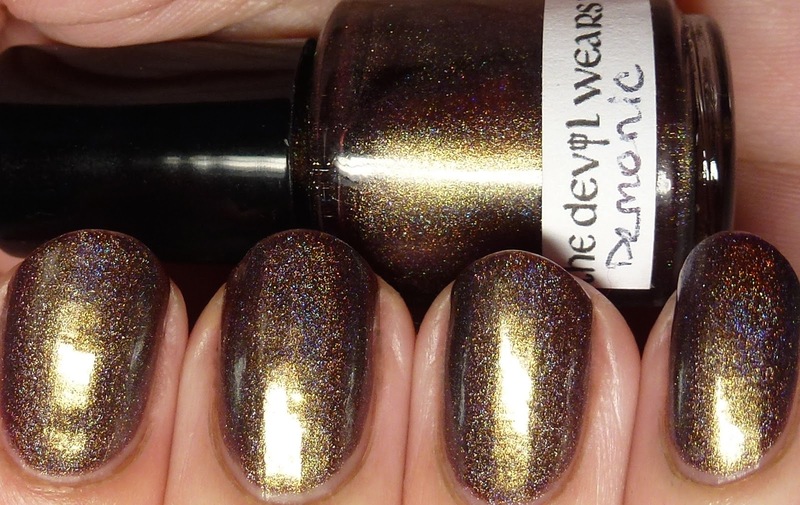 Perfect, quick-dry formula. 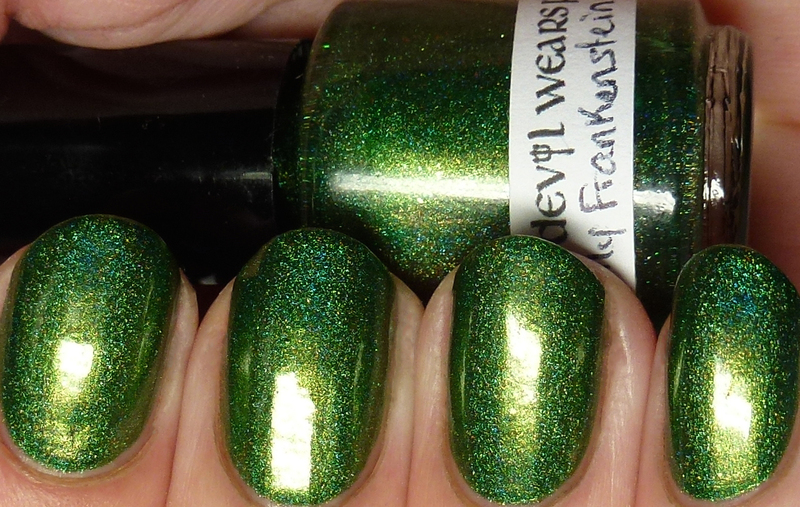 Be My Frankenstein is such a rich green I could not keep my eyes off my nails! 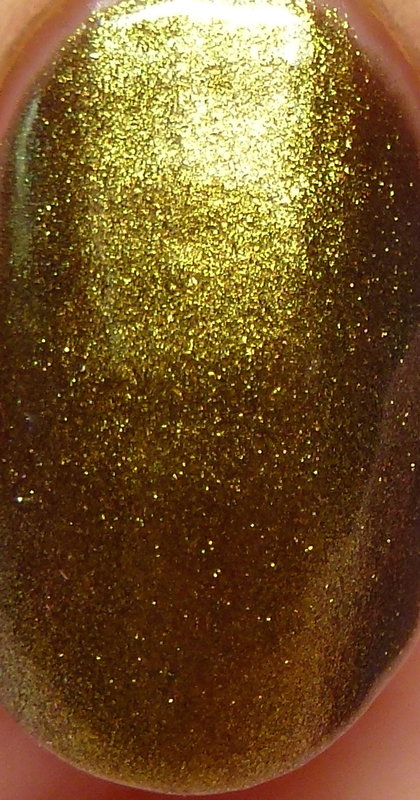 It has a touch of gold microflakes in addition to the holo shimmer. 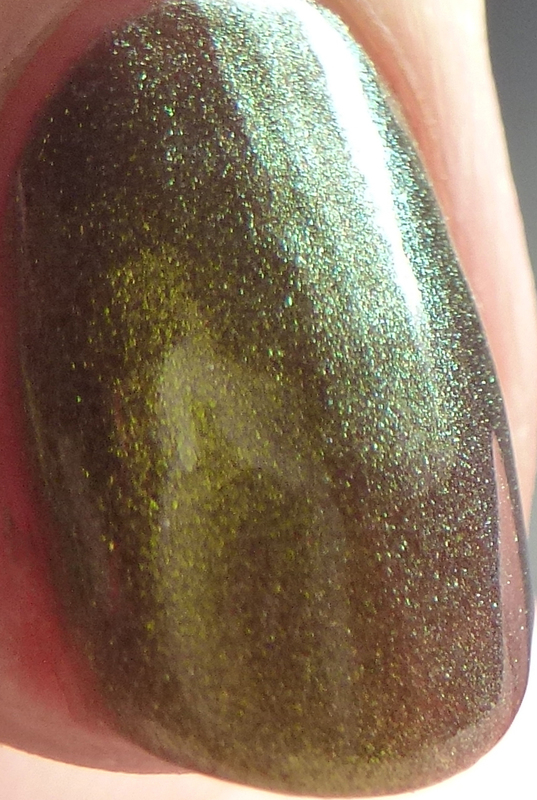 This is with three thin coats but you could definitely use fewer. I'm in love! 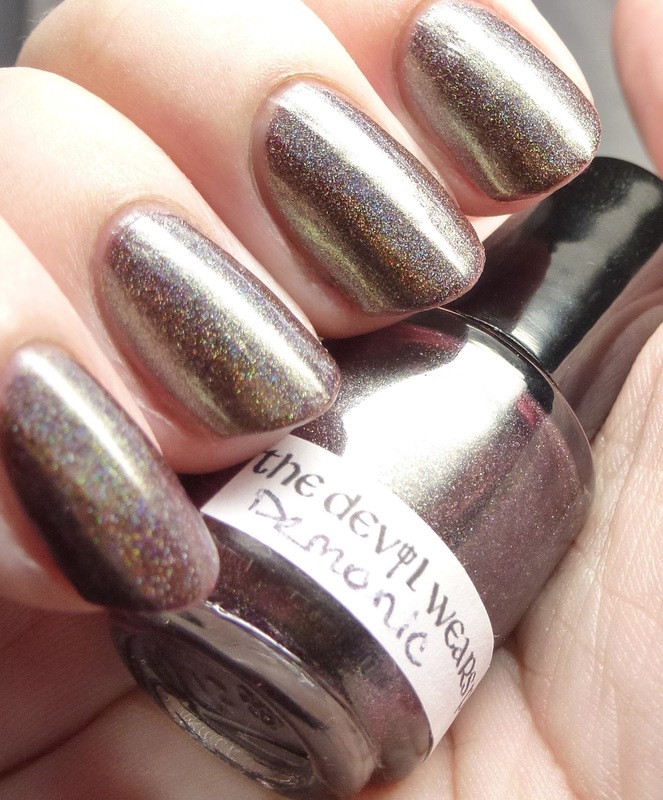 Demonic is a remarkably complex polish, with a cordovan base color, along with linear holo and green gold to blue duochrome shimmer. 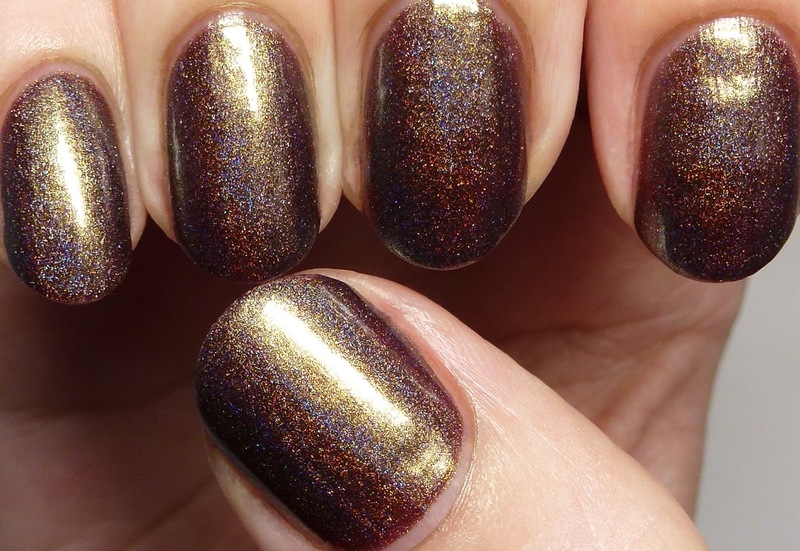 Check out how the base color affects the holo shimmer - it's magical! 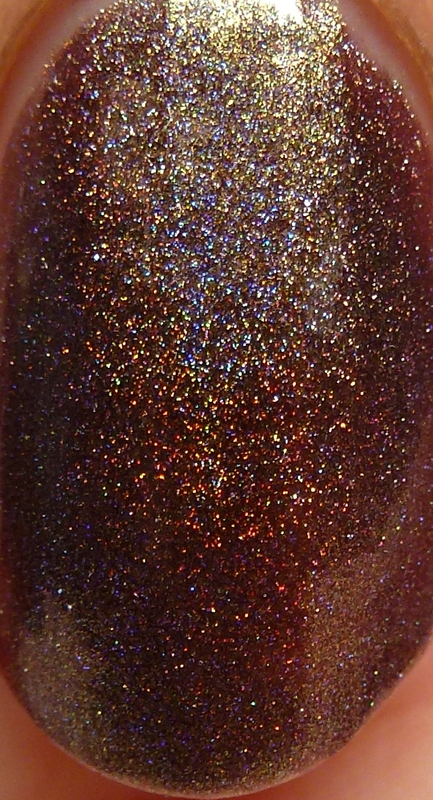 This is not your average plain-jane holo, for sure. 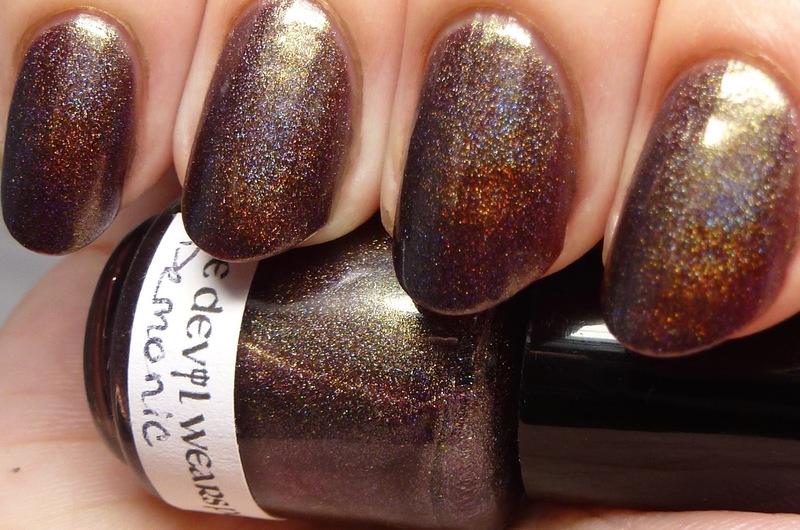 Perfect formula, and I wore three thin coats. 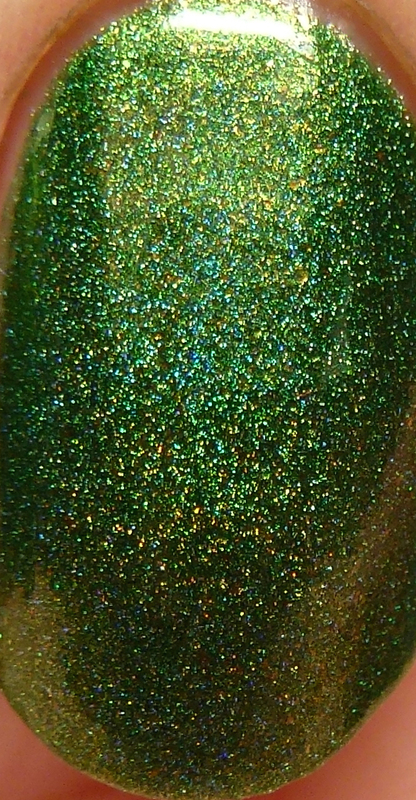 I will be back soon with three more polishes from this collection. They are just as amazing, so I can't wait to share them!